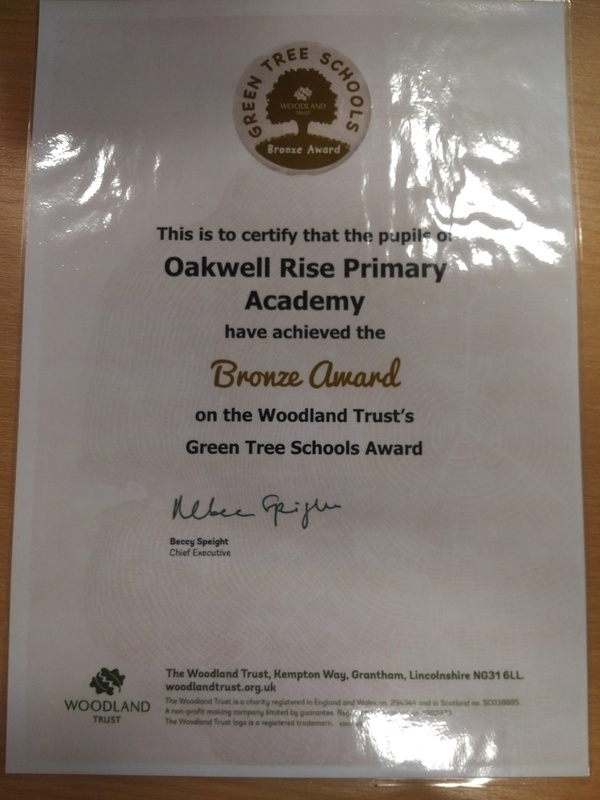 Oakwell Rise Primary Academy is proud to have achieved the Bronze Award from the Woodland Trust's Green Tree Schools Awards. Our dedication to improving the community around us, by planting trees, running gardening clubs and educating our children about nature and the world around us, has been rewarded. We will continue to develop our outside nature areas and hold more gardening clubs as the weather gets better. Please speak with the school office if you would like to get involved.